Caio Palma is 21 year old free player from Brazil, the host country of the next year’s World Cup and a Fieldoo power user that gained precious experience in a youth team of Bofatogo. He is currently looking for a new club through Fieldoo. Describe yourself as a footballer. How do you remember your beginnings? Why football at all? I am a strong player in contact situations and I have good passing skills. My football career started when I was 5 years old and I have committed all my life to it. I could say that family and football are the most important things in my life. Football is the Brazilian national sport and Brazil will host the World Cup in 2014? Do you think your national team can once again achieve worldwide success? Hosting the world cup will be great opportunity for Brazil to become a world champion once more. We clearly have great players that could achieve that. I think that Thiago Silva and Neymar will have the most important role in our national team. Are you a footballer and would like to connect with Caio Palma? You played for Vasco da Gama, Flamengo and Bofatogo as a youth player. What are the things that are specific for young Brazilian players? What gives Brazilian players the edge over European players for example? Let me say that I am very good in the technical sense and have very good tactical knowledge. We are working a lot on concentration and training our passes, headers, dribbling, besides that we are trying to get enough knowledge to become tactically smart. I think that the general advantage of Brazilian players can be represented by Manuel Francisco dos Santos or “Garrincha” and his famous characteristics. He was able to turn himself at top speed and explode at unusual angles, which he used to great effect. What are your hobbies beside football? I am combining football with my studies, so I don’t have a lot of free time. Moving from the football to the internet … Why did you decide to join Fieldoo, the Football Career Network for players & agents? Who would you recommend it to? Well, I joined Fieldoo because I am currently a free player and looking for a new team. 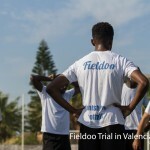 I would more than recommend Fieldoo to my friends and other players, because it is a great tool for players with or without a club. Who would be your pick: Leo Messi or Cristiano Ronaldo? Why? Would you rather choose some other player from Brazil or clubs you played in for example? My favourite would be Leo Messi because of his skills and behaviour in and out of the football field. I would choose Kaka from Brazil for the same reason. 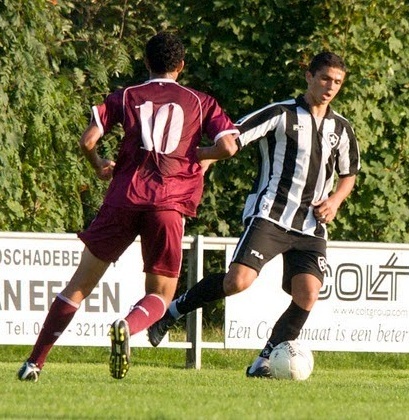 I would say that my biggest success was a victory in 11th International U-19 tournament played in Oostduinkerke – Belgium. I was playing for Bofatogo FR and in the final game we defeated Tottenham with 2:0. What do you think about the Minguella Challenge – a way of searching for the new Messi through Fieldoo? I can say that this is one of the greatest opportunities for players in their career. I was playing for Flamengo in 1st division, it was a game of U-13 players and we had won the game with the score 13:0. One striker alone achieved seven goals, unfortunately I didn’t score, but I had a very important role in the victory. 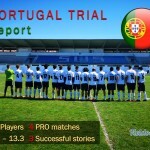 Are you a football agent and would like to connect with Caio Palma?